Rome's best loved and most cosmopolitan hostel. 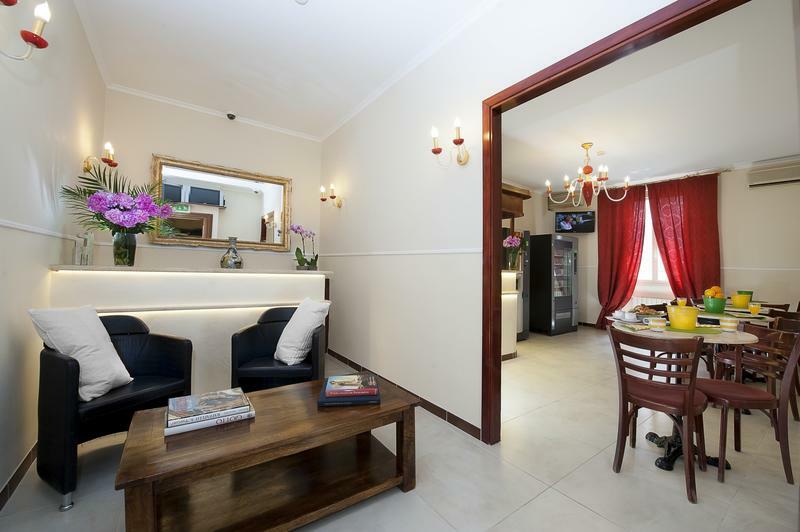 City center location only two steps away from the central station Termini. Dorms and private rooms are available. Everything you could possible want is nearby and the best and cheapest food places are in the hostel area. Des Artistes is in easy walking distance from major sites. Des Artistes has an annexe part of the building where some doubles and triple private rooms with shared bathroom are located. So if you book a room for two or three people with shared outside bathroom, it will be located either in Via Villafranca or Via Sapri, at max. 300 metres from the reception area in Via Villafranca. For all guest bookings with the period of stay from 1st January 2011 onwards, a local tax of 2,- Euro per person per day must be paid. This is an additional charge and is not included in the room rate. You have to pay it directly in the hostel in cash only. - Dorm beds: Limit of age is 36 years old. * a 10 euro refundable deposit is required up front. Leave the train station from the side exit at track no. 1, taking a left onto via Marsala. Then take first right into via Vicenza, walk straight for five blocks and turn left into via Villafranca. Hotel Des Artistes is 20 meters ahead on your right.